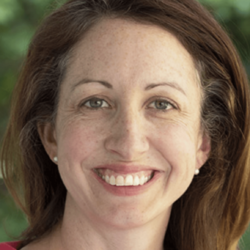 Hilary Harp Falk serves as the Vice President of Regional Conservation, leading the organization’s seven regional offices with a focus on regional growth, national and regional program integration, and strategic partnerships. Previously Falk led the National Wildlife Federation’s Mid-Atlantic Regional Center including programs on wildlife conservation, coastal resiliency, water policy, greenhouse gas reduction, and education. She is an expert in large-scale ecosystem restoration and coalition building. She created and directed the Choose Clean Water Coalition, a 230-member advocacy organization focused on protecting the Chesapeake Bay watershed. Falk was also a Senior Policy Analyst at the Northeast-Midwest Institute, focusing on largescale ecosystem restoration of the Upper Mississippi River, Chesapeake Bay, and Delaware River. She started her career as a program manager at the Chesapeake Bay Foundation’s Port Isobel education center on Tangier Island, Virginia. Falk has an undergraduate degree in Environmental Science from Franklin and Marshall College and received her Masters of Science in Natural Resources from the University of Vermont. She was selected as a Switzer Foundation Environmental Fellow in 2005. Her master’s thesis focused on participatory computer modeling for complex environmental decision making. She is a 2016-2017 fellow with the International Women’s Forum Leadership Foundation. Falk received a Tribute to Women and Industry award from the YWCA in 2014. Her passion for her work stems from a childhood spent exploring the edges of the Chesapeake Bay. Falk currently lives with her husband and two sons in Annapolis, Maryland.